Jersey is a knit fabric that has many great attributes. It is light and flexible, yet warm and insulating. It is a popular choice for t-shirts and a variety of other apparel. One interesting aspect of jersey is that it can be made from 100% cotton or from a cotton/polyester synthetic blend; it is the knit of the fabric that makes it unique. Jersey fabric is machine-knit with a very small grain. There is a right side and a wrong side, like most knitted fabrics. The right side has a vertical grain and the wrong side is horizontal. Apparel made with a jersey knit has the vertical grain facing out. Jersey is a nice knit for basic t-shirts. The Champion T2102 Heritage Jersey T-Shirt is a great choice for a simple jersey t-shirt. This heavyweight 100% cotton tee has the jersey knit for warmth, while still holding the breathable qualities of cotton. This t-shirt also has moisture-wicking properties, making it a smart option for playing sports as well as day to day wear. It is available in six colors and six sizes ranging from S-3XL. Another quality, every day jersey t-shirt is the Bella 6000 Women’s Crew Neck Jersey T-Shirt. It has all of the stylish attributes of jersey fabric, and is designed with a classic feminine fit. This tee is 100% combed ringspun cotton for a very soft and comfortable feel. It is available in thirty-five colors and five sizes ranging from S-2XL. As a nice-looking fabric with a lot of great qualities, jersey is also a common choice for polo shirts. The Gildan G280 6.1 oz. 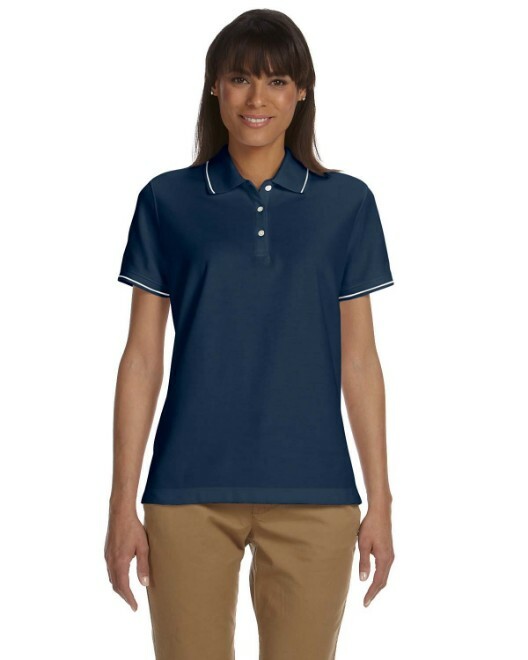 Ultra Cotton Jersey Polo is 100% preshrunk cotton. Soft and breathable, cotton is a practical choice for polo shirts. The jersey knit enhances its softness and adds warmth. 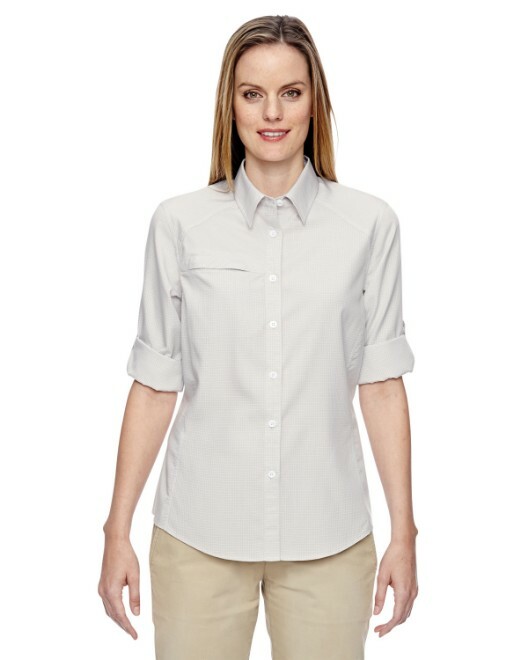 This polo has set-in sleeves and a three button placket. It is available in thirteen colors and five sizes ranging from S-2XL. 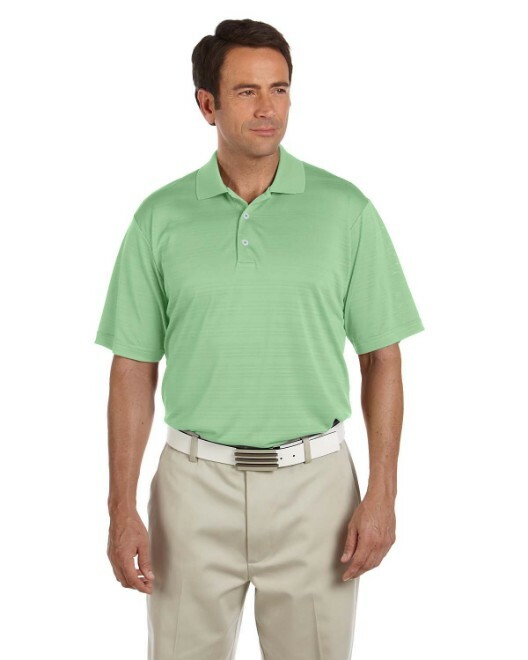 The Jerzees 437 Men’s 5.6 oz., 50/50 Jersey Polo with SpotShield is another terrific option. This is a 50/50 cotton/polyester blended jersey fabric polo that also has moisture-wicking properties and spot shield to resist stains. It has the breathability of cotton and the durability of polyester, with extra warmth and strength from the jersey knit. For added style, the sleeves are set-in and the placket has two pearl-toned buttons. 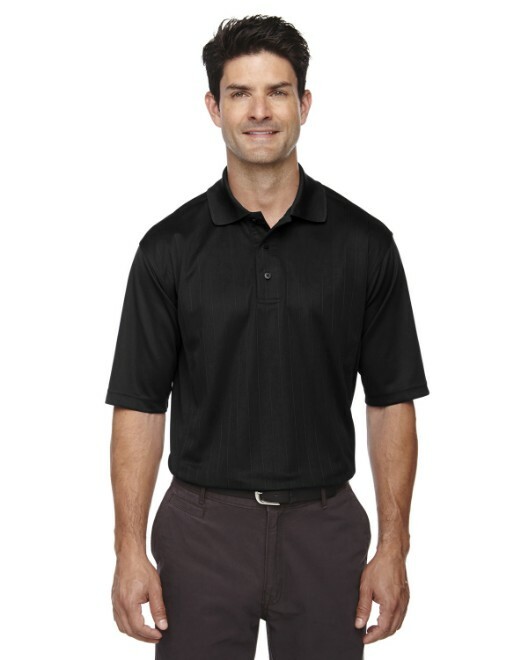 This jersey polo is available in fifteen colors and eight sizes S-5XL. It is available in women’s, with a more fitted and feminine cut. 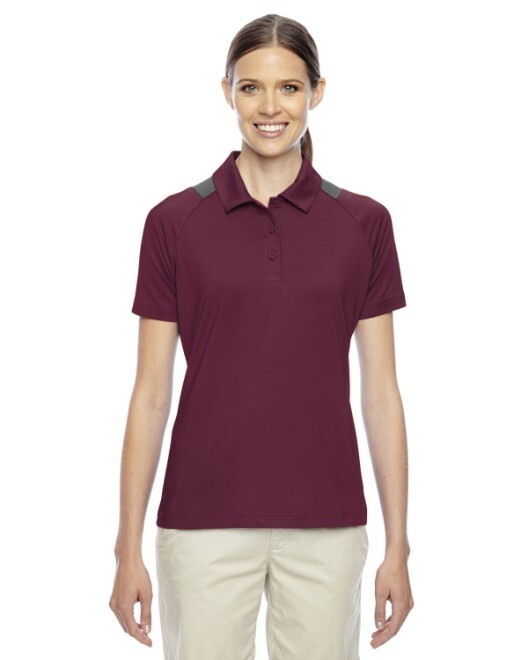 The Jerzees 337W Women’s 5.6 oz., 50/50 Jersey Polo with SpotShield also has the cotton/polyester blend, moisture-wicking, and stain resistance. It is available in eight colors and five sizes ranging from S-2XL. 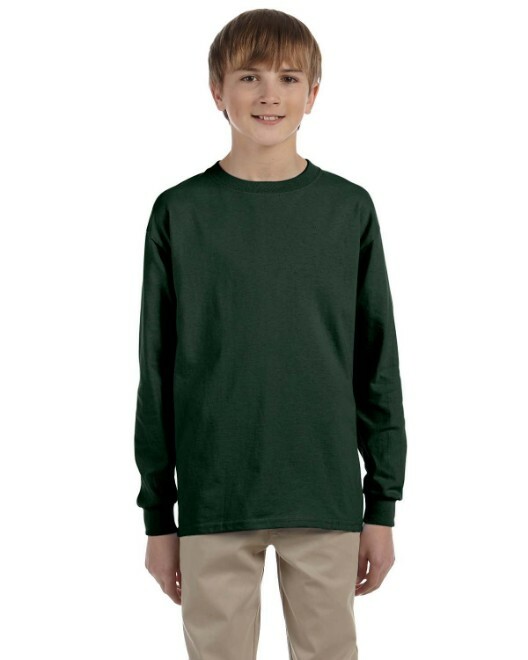 The Jerzees 437Y Youth 5.6 oz., 50/50 Jersey Polo with SpotShield is the same multi-faceted jersey polo designed for children. It is available in eleven colors and four sizes ranging from S-XL. Jersey knit fabric is a stylish and durable choice for a variety of articles of clothing. Hooded sweatshirts are sometimes made with a jersey knit for more style and a lighter weight. The Canvas 3512 Unisex 4.2 oz. Driftwood Long-Sleeve Jersey Hoodie is 100% combed ringspun cotton jersey. This hoodie is warm and light, perfect for fall and spring wear. It is available in three colors and six sizes ranging from XS-2XL. Jersey is also well-suited for tank tops, such as the Bella B8111 Women’s Louise Sheer Jersey Longer-Length Tank. Jersey is known for being both light and warm. It makes a very insulating inner layer. This particular tank is 100% combed ringspun sheer cotton jersey. It has a long length and a slim fit, so it will not add extra bulk when layering. It is available in seven colors and four sizes ranging from S-XL. Jersey is a unique and fashionable knit that highlights the best of its fibers.